Starting too late. But I'll do my best to finish it before 7th Aug. Finally got the necessary tools and stuff, and the setup is ready. Its time to put the story in place. 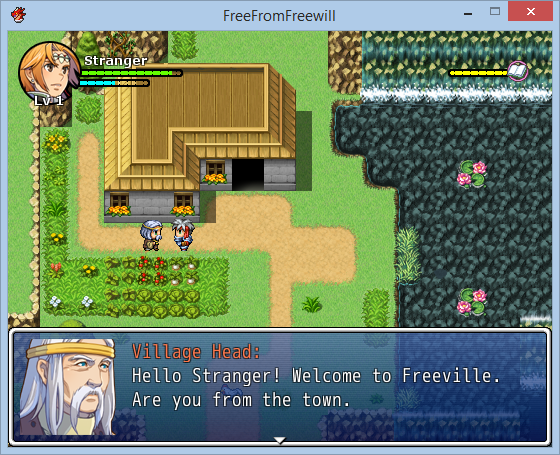 A stranger appears from the skys, in a village called FreeVille. He has to choose a path, and fulfil his life in that path as the story unfolds. 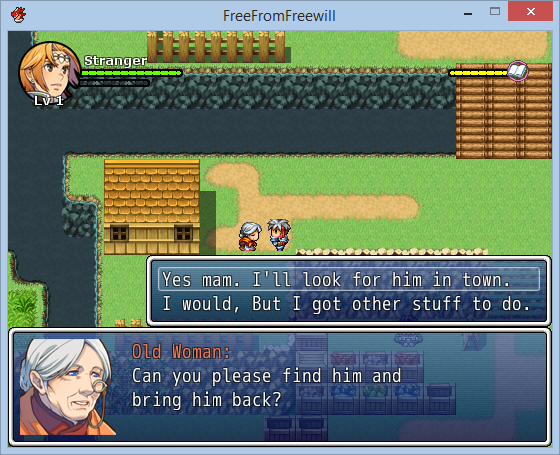 The stranger will "GRRR (...wait for it...) OOWW" old as the game progresses(comment below). The stranger's life would span roughly around an hour(or less, if you kill him). After he dies the game will just begin again. 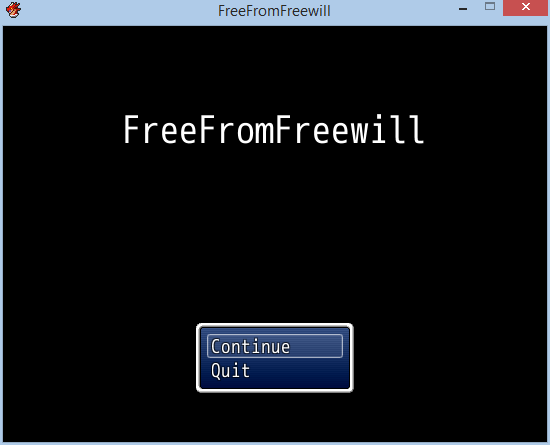 The game has an autosave mechanism. I must say, this is more of an experience than a game, or at least, Im trying to make it feel like an experience. 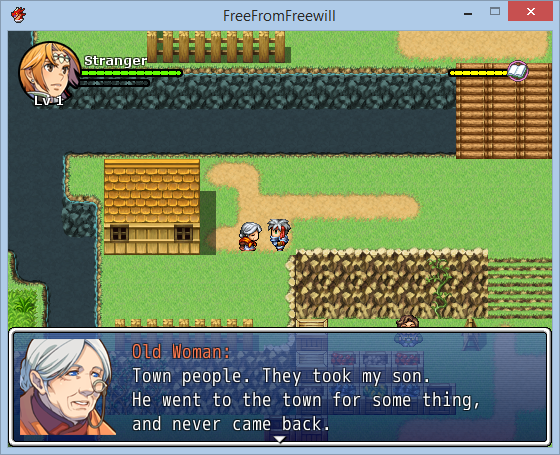 RPG Maker VX ACE: Oh .. Boy... what an engine. This is the first time Im using it. 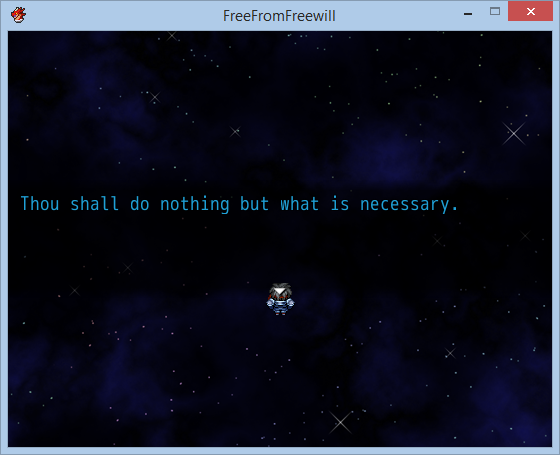 In fact, this is the first time Im making a game all by myself. 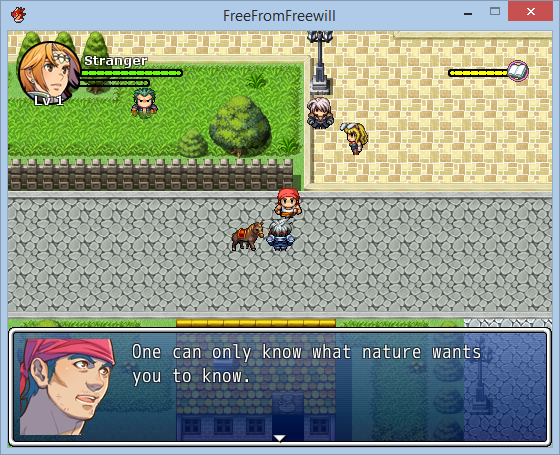 RPG Maker is easy and accessible for a noob like me and so powerful for a pro who want to customize every thing. One can quickly setup a premise, with all the pre-built stuff in it. At first, it took me a while to get the hang of it, and with in few day, Im editing scripts. Excellent engine there. Hats off to Devs. Thanks to Khas for his awesome "SAS IV". Another battle system, quick and easy to setup. Posting a screen shot with all the setup and characters. Now its time to tell a story. Still a long way, but shrunk in time. Hope I can complete. Finally its complete. (I dont know). Thanks IGMC 2015 for the opertunity. I had fun developing the game. Just noticed, I forgot to build with RTP. Is that ok? 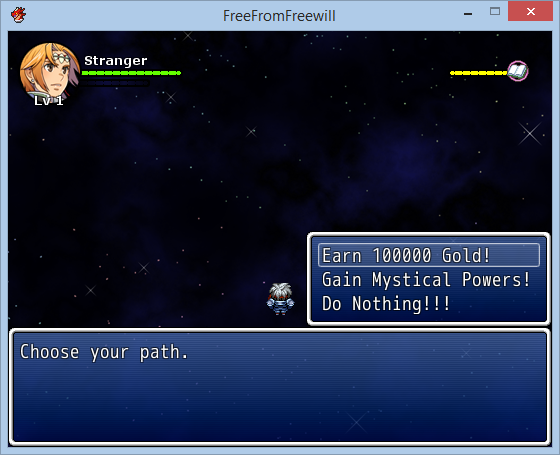 Im new to RPG Maker. I know you wont accept this build. But I want everyone to play and give feedback. Please play. Thanks a lot. 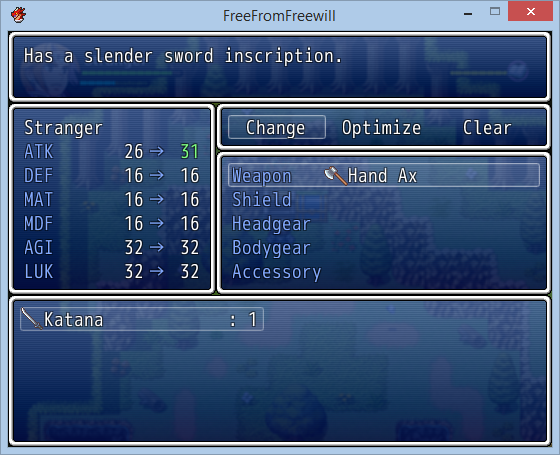 Anyways... Below are game controls.